Two bands for the price of one. 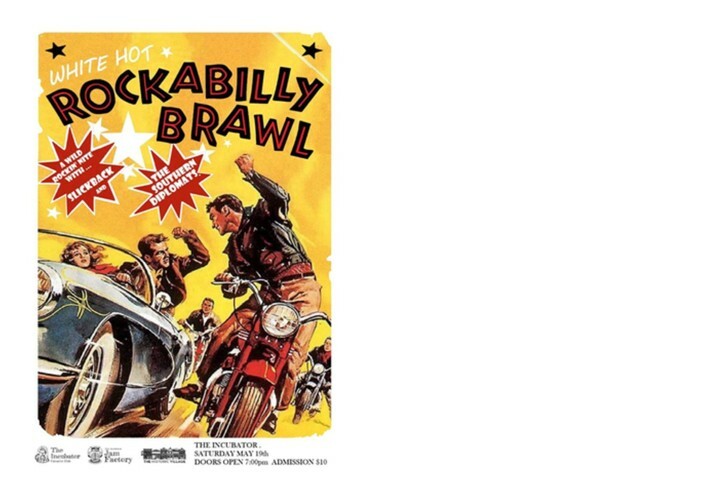 Mr Rockabilly Hood and SlickBack share the stage with The Southern Diplomats to bring high energy rockabilly dance music to fans of all things Rock n Roll & Retro in BOP. From 6pm you can dance or sing along to hits made famous by such greats as Eddie Cochrane, Johnny Burnett, Elvis, Crazy Cavan, Karl Perkins, Jerry Lee, Cliff Richard and more! 2 Bands for just $10 entry starting at the earlier time of 6pm to help keep the neighbours happy. Ignore the time on the poster.